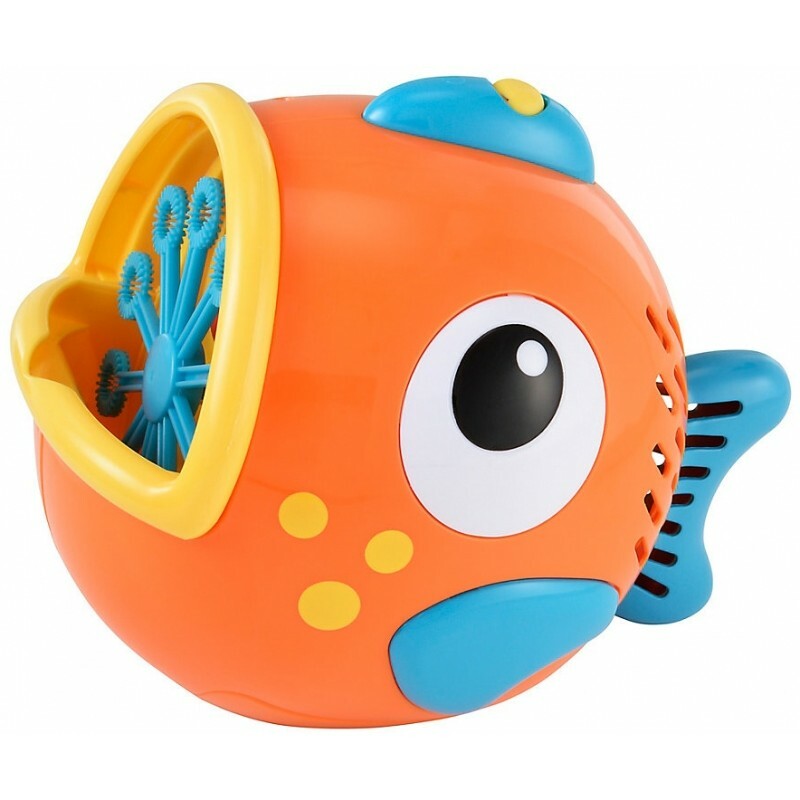 Create lots of bubbles with the Frankie the Fish bubble machine in the garden or at birthday parties. Frankie the Fish blows hundreds of magical bubbles from his mouth: sit him in the garden, watch the bubbles float around in the breeze or see if you can jump and pop them. Fill Frankie Fish with bubble mixture (available separately) and switch him on to start the fan up and get the bubble wands rotating - perfect for creating a fun, 'bubbly' atmosphere at parties.